Hello, is there a way to disable the plugin in certain worlds? I don't use Bungee Cord. Hi , Would you be able to help me with the problem where Minecarts with Hoppers keep being removed? I have disabled the options for it but it still happens? What do i change in the config to delete the broadcasts? I tried deleting the original text, but then it'll come up in chat as blank lines. Where in the config is that? I've changed it to false, but somehow broadcasts still show. Edit: set all broadcast options to false, yet it now spams my console with: "[Server] WARN [ClearLag] Task #31 for ClearLag v2.9.7 generated an exception 24.04 10:52:03 [Server] INFO java.lang.NullPointerException: null 24.04 10:52:03 [Server] INFO at me.minebuilders.clearlag.tasks.ClearTask.run(ClearTask.java:43) ~[?:?]" Does anyone know how to limit mobs in a chunk? As in, 20 sheep AND 20 cows (40 mobs), not 20 sheep and cows total (20 mobs). This section limits all mobs total to be 20 in any given chunk. So, you can't have 20 cows and 20 sheep. Thank you to anyone with suggestions. Anyone here know where i can find all mod ids or twilight bosses ids for clear lagg setting ? [ClearLag] Server activity has been halted! and then waterflow etc all stops. It then later resumes it. How can I switch that off? Which config setting is managing this feature? Why is the meter doing anything except the commands that I add to the list? Can I switch that off? Just make a ticket and post your config. I wrote a script that records player locations during low tps to a database to better identify where the TPS is coming from and it would be nice to be able to also pass the actual TPS into that information. 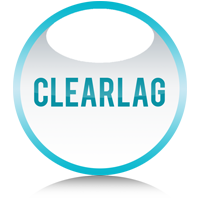 salut est-il possible de désactiver le clearlagg dans un mode ??? So I read on the minecraft wiki that the fishing_bobber will be added as an entity in version 1.13. I guess this is my only hope of having it fixed in clear lagg. Since the double cast doesn't work either to recast it after clear lagg removes it.